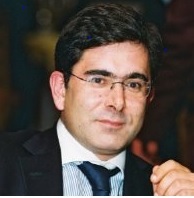 Paulo Alves holds a Ph.D. in Finances from ISCTE (2008), MSc in Financial Risk Management from ISEG (1995) and a degree in Economics from UNL (1992). Associate Professor of the School of Economic Sciences and Organizations of the Lusófona University and Guest Adjunct Professor of ISCAL. He works at CMVM since 1994, currently serving as Senior Financial Economist in the Office of Studies. His research focuses on Financial Economics, especially in corporate finance and financial markets. His works have been published in several national and international journals.